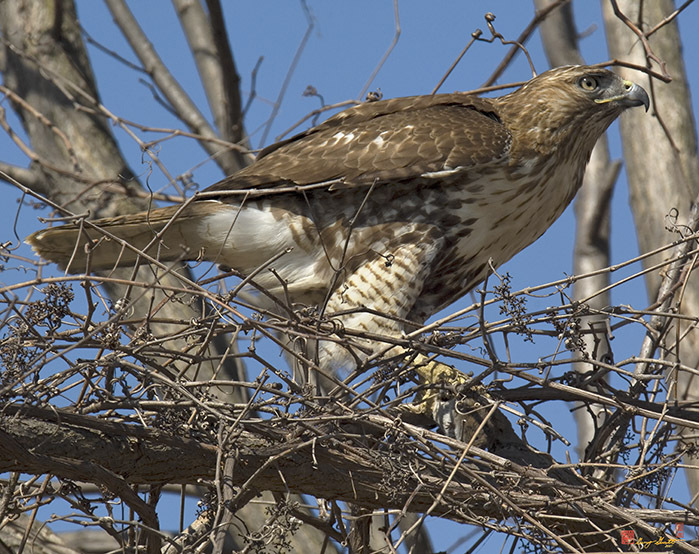 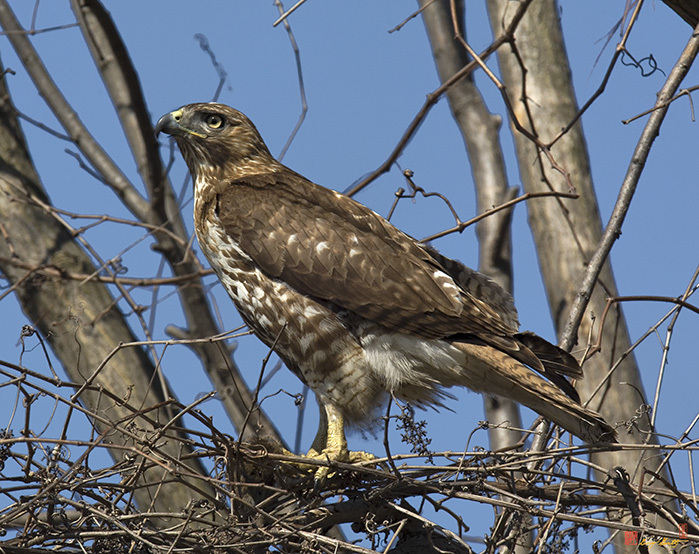 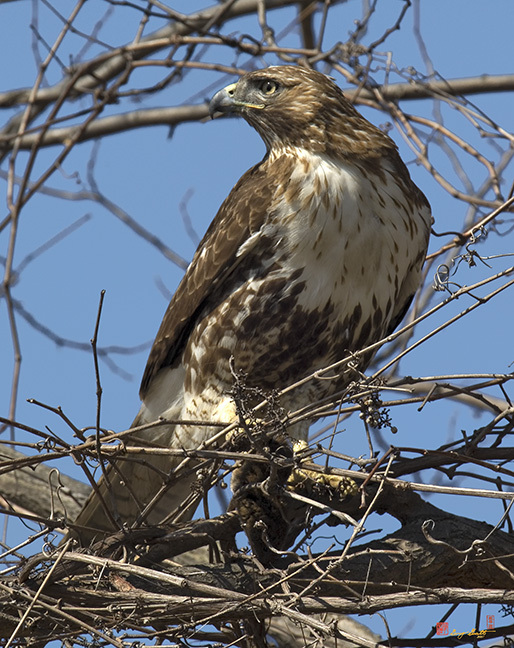 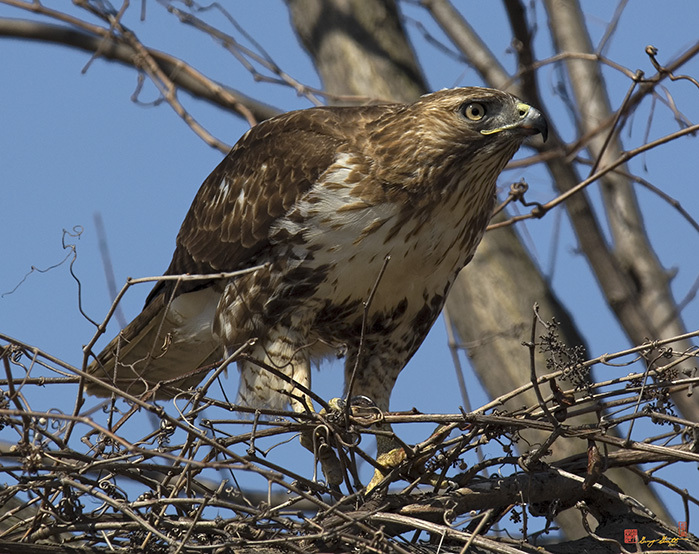 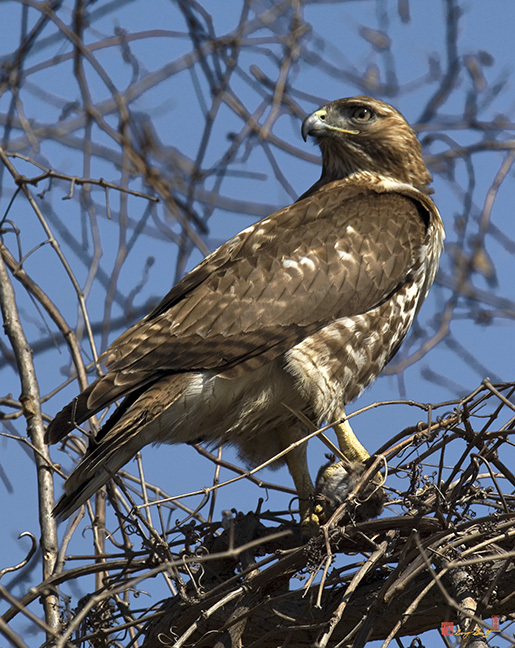 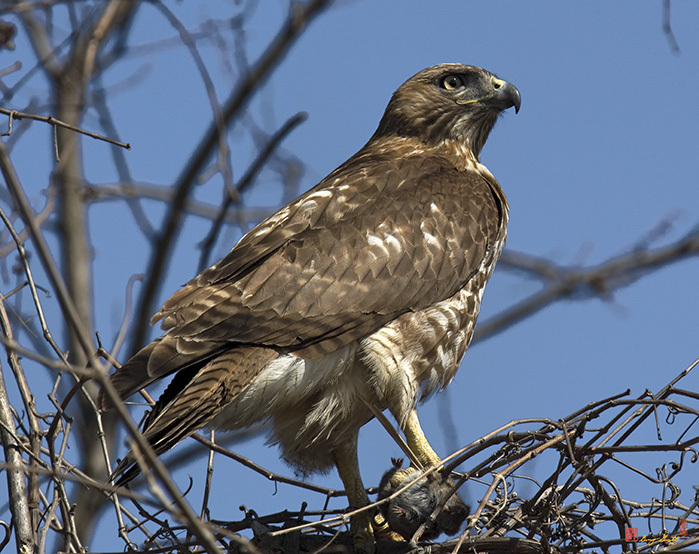 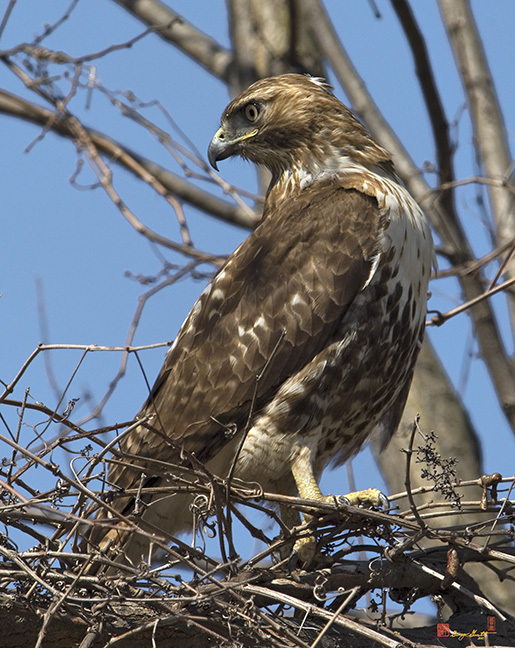 The following photos are of an immature Red-tailed Hawk that has caught an Eastern Meadow Vole. 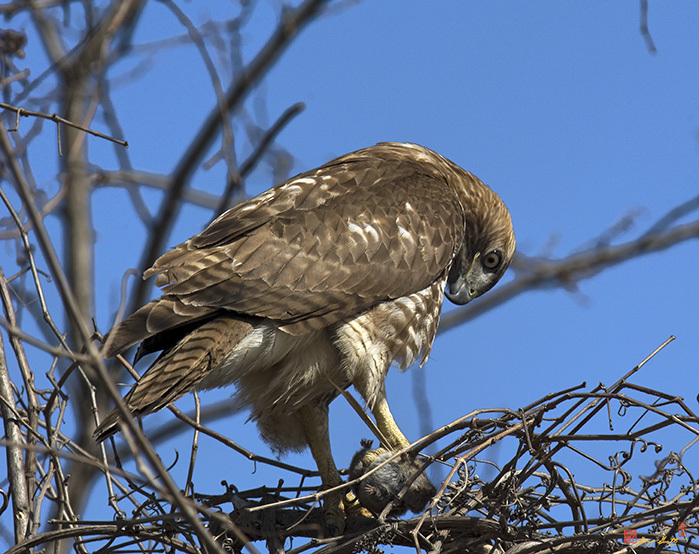 The hawk appeared to be sizing up its catch and then proceeded to dispatched it with several nips to the back of the vole's neck. 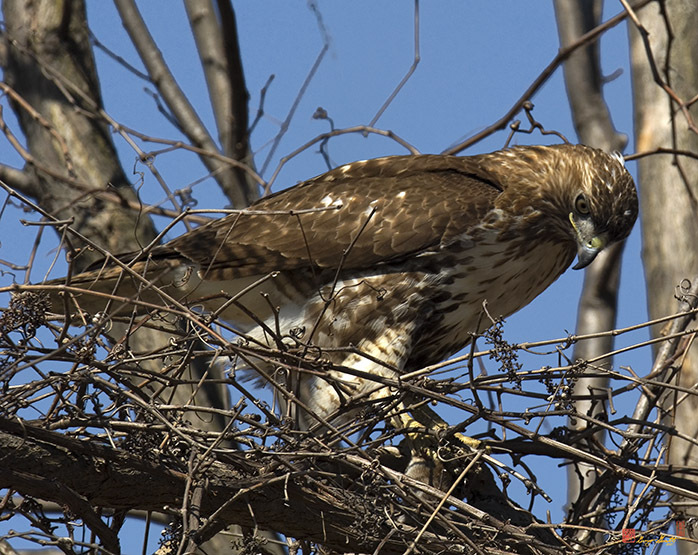 Red-tailed Hawk (DRB0075) The following photos show the hawk feeding on the vole. 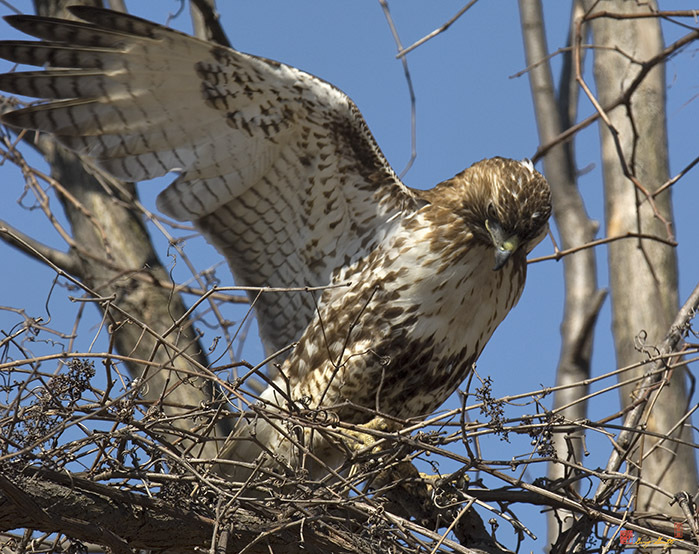 Nature is indeed red in tooth, claw and beak. 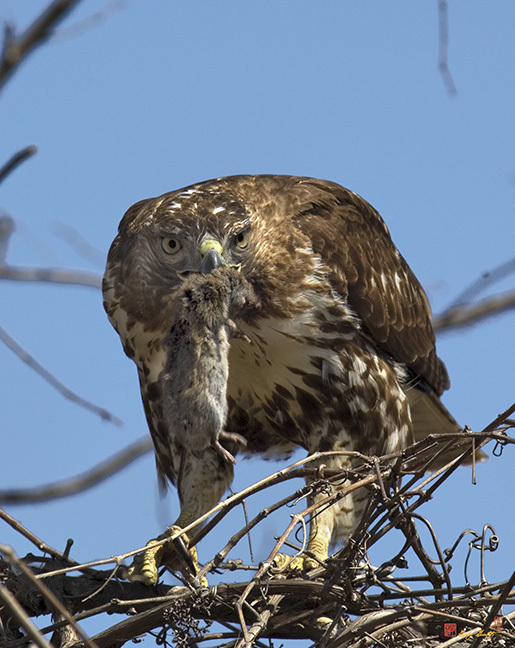 Remember that to the hawk, this vole was just a bit of lunch (nothing personal). 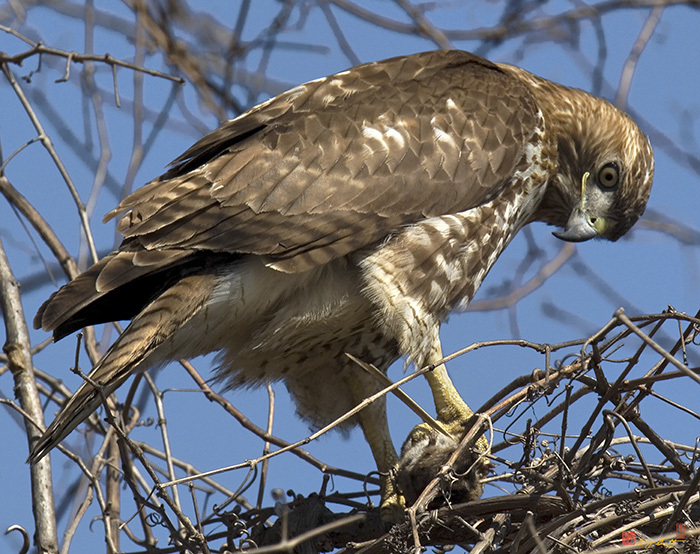 If you are squeamish about such things, please skip this gallery.